Weddings are one of the most important moments in the life of a couple. This emotion not only makes your family happy, but your friends also enjoy that happiness. Even weddings can consolidate some relationships or start other relationships. 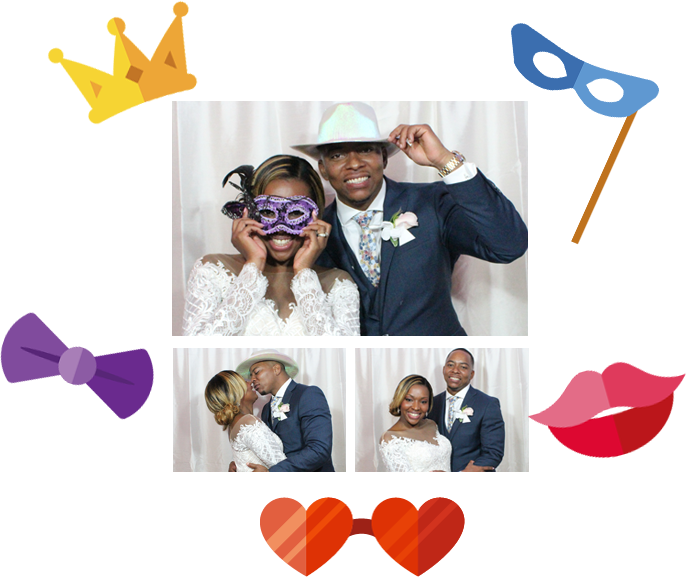 If you want to give your guests an alternative source of entertainment, we recommend our photo booth service. With this service all the attendees on your celebration will enjoy a new and fun experience when photographing. If you've always dreamed of taking pictures in that little cabin like you've ever seen in movies or video clips, we give you that opportunity!